We are excited to announce AppOnboard Studio, a new #NoCode toolset that helps bring ideas to life. Check out this blog post from our COO, Bryan Buskas, to learn how this product came to be after years of development. Sign0up for our Early Access Program at www.AppOnboard.com! Kabam decided to partner with AppOnboard to create its MARVEL Contest of Champions instant app because AppOnboard’s platform is able to create instant apps that maintain gameplay quality (even 3D) in lightweight file sizes. By partnering with AppOnboard, Kabam was also able to keep its engineering teams focused on the development of the actual game. Together, Fumb Games and AppOnboard, worked to create a second version of a Google Play Instant app that was shorter and focused more on quick interactions that unlocked special zombies. Not only did the instant app’s completion rate increase, but it saw a nearly 50% increase in install rate (+48%) when compared to the original version. Last September, we highlighted indie developer (Superheart Studios) on Try Now Tuesday for driving over 10,000 daily pre-registrations on Google Play upon launch. 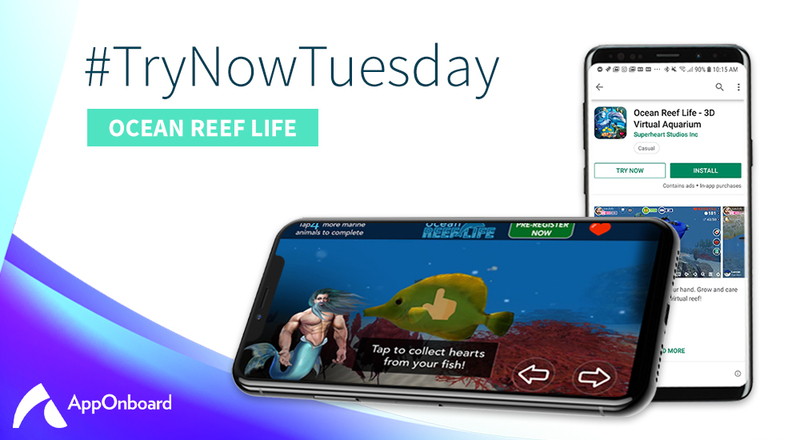 The studio was one of the first to leverage the Google Play Instant program and AppOnboard’s App Store Demos to measure user interest for a game (Ocean Reef Life) before actually building the full version! When considering ways to get new potential gamers engrossed in these storylines, Wooga recognized the Google Play Instant program as a new, innovative, interesting way to explore and contacted AppOnboard to help get to market faster with a Google Play Instant app. At the end of last month, MARVEL Strike Force, a hit Mobile Squad Based Superhero game from FoxNext, partnered with AppOnboard to enable its “Try Now” button on the Google Play Store. The game has been successful in monetizing its users and recently reached #1 on the Top Grossing chart on Google Play. Try Now Tuesday: Mammoth Media Invites Users to Experience Different Stories in its App Store Demo for Micro-Storytelling App, Yarn. When Google announced its Google Play Instant program as a “faster way to try apps and games,” Mammoth Media viewed it as a way to further bring its user-first experience to its app store optimization efforts. The startup contacted AppOnboard to help enable Yarn’s “Try Now” button on the Google Play Store through AppOnboard’s new product, App Store Demos. When the Game Insight team heard about Google Play Instant, they were eager to take advantage, allowing potential new users to try Guns of Boom instantly upon landing on the Google Play Store. The company is now leveraging AppOnboard’s App Store Demos to enable its 3D Instant App experience and Google Play Store “Try Now” button. Last October, indie game studio, Superheart Studios, released its first game, Ocean Reef Life, on iOS. Now (almost a year after launching on iOS), Superheart Studios is keen on measuring user interest for the game amongst Android users to determine if it should create an Android version of the game. 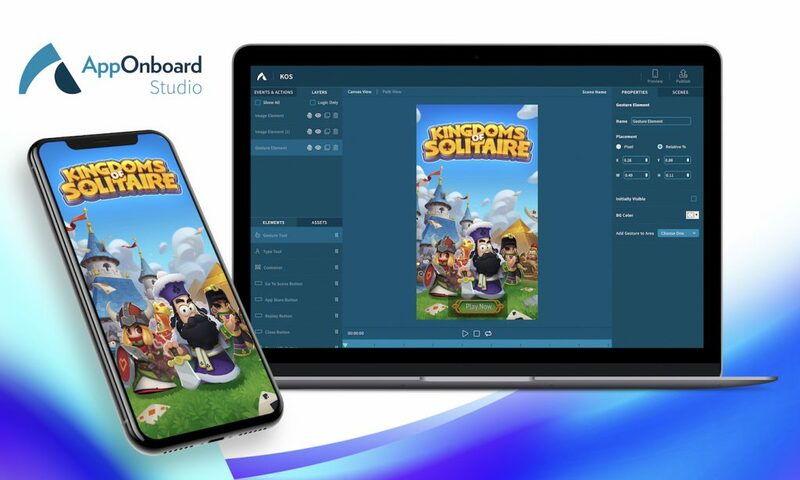 The studio is leveraging Google Play Instant and AppOnboard’s App Store Demos to do so! Earlier this year, Huuuge Games began to leverage AppOnboard’s Full-Fidelity Demos to acquire new users for its suite of casino & slot titles. When Google announced it would be expanding its Google Play Instant program to all Android developers in May, Huuuge took immediate notice and expressed interest in expanding its partnership with AppOnboard to quickly enable its “Try Now” buttons on the Google Play Store via App Store Demos.